I cannot believe I am already writing the fourth vegan menu! I have gotten so much positive feedback for my previous menus, so I was glad to make another one. I really hope you have gotten some delicious ideas from the last menus and maybe your weekly dinners are now a bit easier and even tastier. Since the Fall weather is starting to get a bit more colder, I put some really hearty and spicy dishes into this menu. I am sure you will find something suitable for your taste. There are also two pasta dishes, since pasta is just so easy to cook after a work day. To be honest, I love to make pasta almost 3 times a week. But lets get to business. Here is the full menu and a printable grocery shopping list, which you can find in the end of this post. All these meals serve at least four people and the preparation time varies from 15 to 45 minutes. 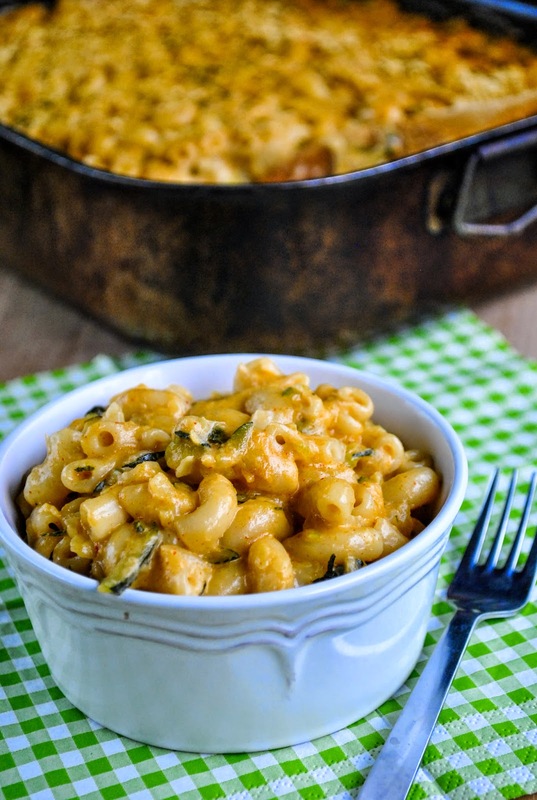 I made this incredible cheesy baked mac and zucchini again a couple of days ago. Me and my love sat outside at our home stairs, enjoyed the warm sun and this heavenly pasta dish. Nutritional yeast flakes are one of the magic ingredients in this recipe. But if you cannot find it, cook the pasta without it. Second day of the week craves this protein-rich lentil stroganoff. A good old recipe of mine, which succeeds every time. Lentils and pickles suit so well together! Serve this sauce with boiled rice, buckwheat or mashed potatoes for example. 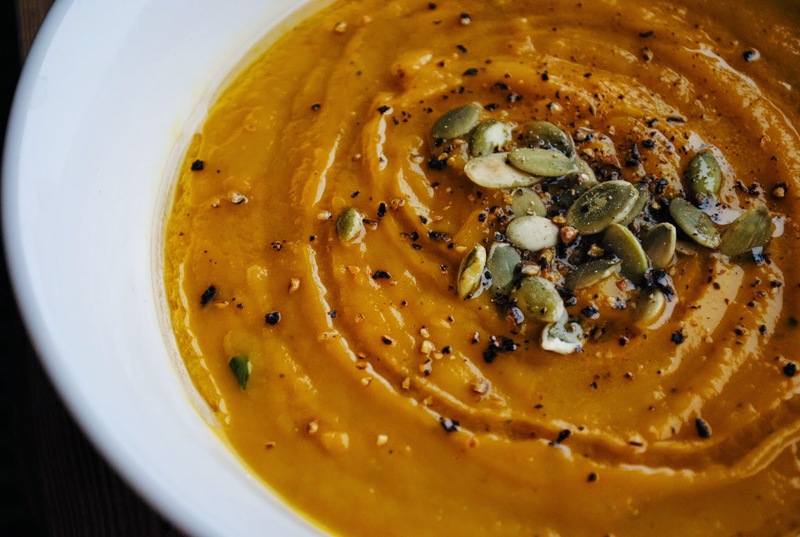 Fall and pumpkin soup with a hint of ginger? Definitely yes! So silky, spicy and delicious. Oven-baked pumpkin is the key for making an extra good pumpkin soup. 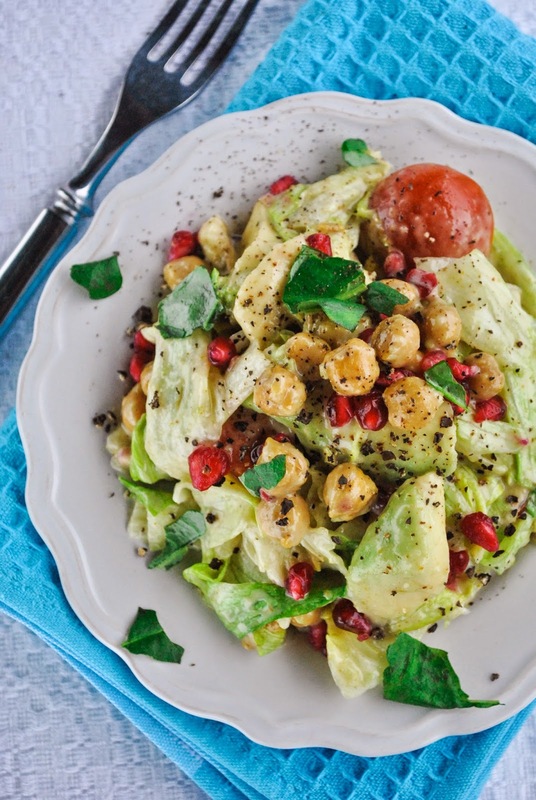 This Thursday is the best ever, because we are eating this best ever curried chickpea and avocado salad with pomegranate. Since this salad is so hearty, it is also perfect as a main dish. And ready in 15 minutes. Pasta is ruling this week. 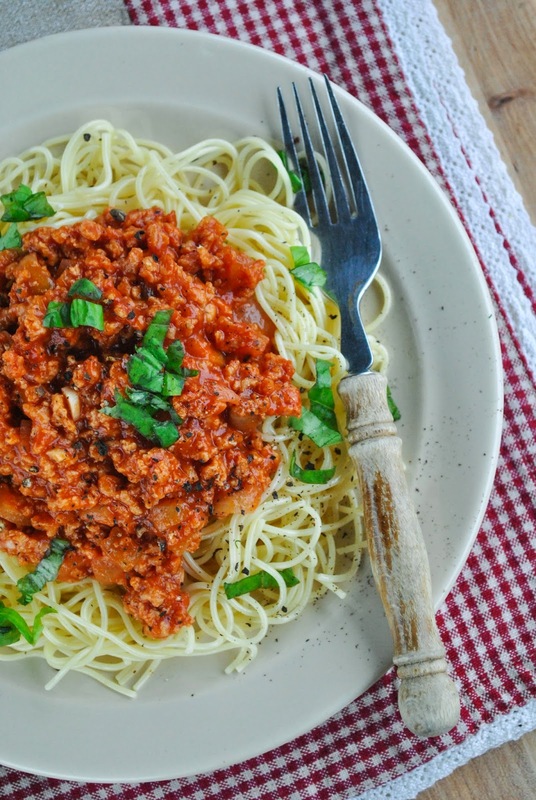 Make this quick bolognese for your Friday night. It is so easy, it will almost make itself. Serve with whole-wheat spaghetti for example. Now it's time for the grocery shopping list. I only assume that you have some salt, pepper and oil at your home. If not, definitely buy them too! If you have any questions about the ingredients and their availability, definitely let me know! And don't forget you can print the whole list out. Just click the green "Print PDF" button in the bottom left corner of this recipe. 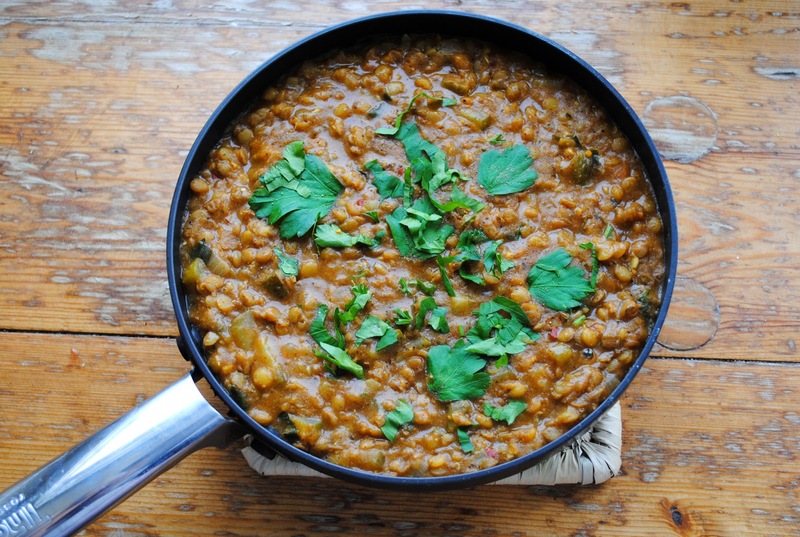 + decide what you want to serve with the lentil stroganoff. Buy some rice, buckwheat or potatoes for example. paar peotäit kirsstomateid ka poenimekirja!